9th February 2018, New Delhi : The national drug price regulator NPPA slashed the price of cardiac stents by up to 80% nearly a year ago to around Rs. 30,000 and included them under ‘Schedule 1’ drugs. This cap was valid for 1 year. Following this, many multi-national stent makers like Abbott, Boston Scientific Corp. etc. withdrew their high-end stents from the Indian market which costed upwards of Rs. 1.5 lakhs, due to the cost-profit mismatch that had come up due to the said price cap. This caused issues with many patients who had the affordability but were not able to find technologically superior stents in the market. 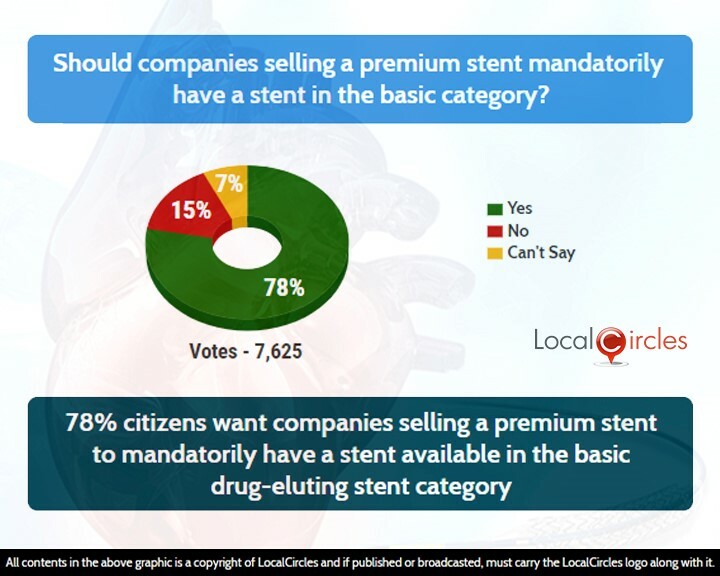 Because of lots of citizens posts and comments on the issue, LocalCircles decided to conduct a survey and asked people what their opinion and thoughts were about the introduction of a new category for premium stents in the country. 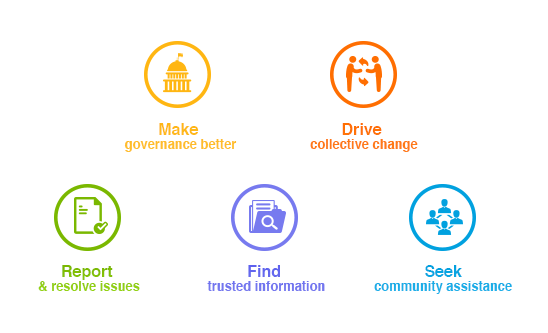 The survey received more than 15,000 votes. 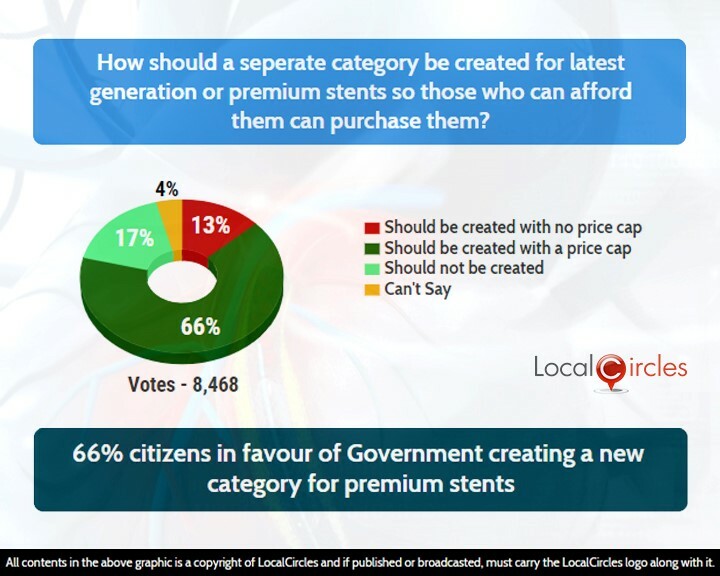 In the first poll citizens were asked how a separate category should be created for latest generation or premium stents so those who can afford them can purchase them. 66% said it should be created with a price cap while 13% said it should be created with no price cap. 17% said such a category should not be created while 4% were unsure about it. In the second poll, 78% people said that companies selling a premium stent should mandatorily have a stent in the basic drug eluting stent category. Only 15% said that should not be mandatory while 7% said they were not sure on how this should be done. According to citizens with regards to the above polls, NPPA should be the one fixing the price cap for the premium category instead of fixing a cost-margin model. Once the price cap is fixed, domestic and multi-national companies can decide if they have a product that they can offer under that cap. However, to be eligible for a premium category product, companies must have a product in basic drug eluting category. This will ensure that the basic product is not sold in the premium category.